As if you didn’t have enough pressure on you to always look fit, trim, and attractive, thanks to social media, we now have endless attention paid to the “thigh gap”. Some women naturally have the gap – that space between the inner thighs that texts, tweets and online postings declare to be a visual reassurance of a woman’s “femininity”. Regardless of what social media proclaims, women can be beautiful with or without the thigh gap. However, if you are someone who would prefer to have “the gap”, then you may want to consider a thigh lift in Sydney. How can I get “the gap”? 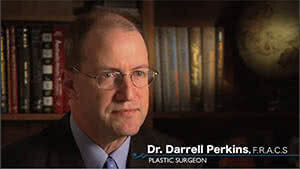 There are many choices for a plastic surgeon in Australia, but none match the higher standards of care of Dr. Darrell Perkins. As a reconstructive and plastic surgery specialist in Sydney, he is guided by principles that emphasize the highest ethical standards, personalized service, and patient education. Dr. Perkins performs thighplasty, also known as thigh lift surgery, at his New South Wales practice. This procedure removes excess skin and fat in the upper thighs with the end result being slimmer and more defined leg contours. Is thighplasty right for me? When you schedule a consultation with Dr. Perkins, he will explain all realistic expectations about the possible outcomes of a thigh lift procedure. He makes extensive use of pre-and post-operative photographs of both good and average surgery results so you can make an informed decision about having a thighplasty. What makes a good thigh lift procedure candidate? If you have no medical conditions that could impede the healing process or increase the risk of surgery, are a non-smoker, maintain a stable weight, live a generally healthy lifestyle, and have excess soft tissue along your inner and or upper thighs, then you may be a suitable candidate for thighplasty surgery. What happens during a thigh lift in Sydney? Dr. Perkins will recommend the best option of medication to be administered during your thigh lift procedure, including IV sedation or general anaesthesia. To remove small excess skin, a transverse incision is made that is hidden in the crease where the thigh meets the body. In that location, any incision and resulting scar can be hidden by clothing or swimwear. To remove large excesses of skin, a vertical incision is required. As with the transverse incision, every effort is made to position any scar in the creases of the thigh, so when you are standing normal it is not visible from the front or back. Sutures will be placed deep within the underlying tissue to help form the newly shaped contours of your thighs. Sutures are also used to close the skin incisions. How long after surgery will I notice a difference? Smoother, tighter contouring of your thighs is noticeable almost immediately following your thighplasty. Although swelling and bruising will initially hide the end result, you will soon see a dramatic difference. When you are ready to discuss how a thigh lift can benefit your appearance with Dr. Darrell Perkins, please schedule an initial consultation by contacting us online or by calling (02) 9587 0871.